A lyrically surreal investigation into the mysterious disappearance of a professor in Nebraska and an exposé on the case an innocent man that might have been a huge mistake. It can be a dangerous thing to give authors too much screen time. Either they demonstrate why they spend most of their days and nights behind their keyboards or they too clearly fall in love with the sound of their own voices. Poe Ballantine (the pen name for Ed Hughes) is a writer who neatly sidesteps both of those concerns. 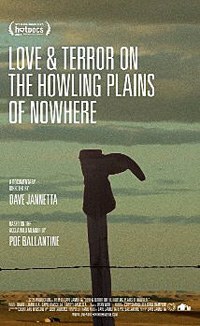 As our guide to the mystery that lurks beneath the idiosyncratic documentary Love and Terror on the Howling Plains of Nowhere, Ballantine is just about everything you might want in an author on screen. He’s plainspoken yet vividly descriptive, confident and self-effacing, possessed of a sure-handed grasp of the place and events in question and yet utterly baffled by the sometimes banal and sometimes poetic weirdnesses of life. Those oddities are delivered in plenty by Dave Jannetta’s superb film, screening at DOC NYC 2014. It’s the kind of place where anything out of the ordinary gets noticed. In 2006, Steven Haataja, a mathematics professor at the local state college, disappeared. Haataja was a quiet type, new to Chadron and without much in the way of social graces. Still, when his body was discovered three months later, burned by the wildfires that had been raging nearby, it raised a stir. Theories circulated, many verging on the conspiratorial. Few have much grounding in anything approaching fact and seem like little more than the average coffee shop jawing that people will do when faced with the inexplicable, trying to create a framework around it that makes sense. Some speculate that he might have been gay and had somehow died because of it. There was another idea that his death was a suicide, though the fact that his corpse was tied to a nearby tree didn’t quite jibe with that theory. Sightings proliferated and people remained puzzled. Meanwhile, the local police department pursued the case in a minor, distinctly Keystone Cops manner. They appear to be more disturbed by the criticism coming from a criminal justice professor at the college than the existence of Haataja’s burnt body. Ballantine, whose book of the same name provides the spine for Jannetta’s film, is happy enough to put himself front and center, weaving threads of his own wandering beatnik past into the mystery of Haajata’s disappearance. Jannetta stops just shy of letting the voluble Ballantine take over the film. The film's mix of irony and fascination, not to mention the Danny Elfman-esque music score, conveys the story's ongoing absurdity. It feels possible that Chadron might swallow anybody up and never have to explain why. Explanations are layered throughout A Murder in the Park, Christopher S. Reich and Brandon Kimber’s pithily argued refutation of the celebrated late '90s Northwestern University journalism students’ investigation that helped end the death penalty in Illinois. The film, screening 17 November at DOC NYC, is laid out almost like a prosecutor’s opening argument, with charts, a crisply delivered timeline, a gallery of villains and naïfs, and a jaw-dropping story of corruption and thwarted justice. It doesn’t follow the arc typical of investigative documentaries, in which venal or incompetent police and prosecutors railroad an innocent man. 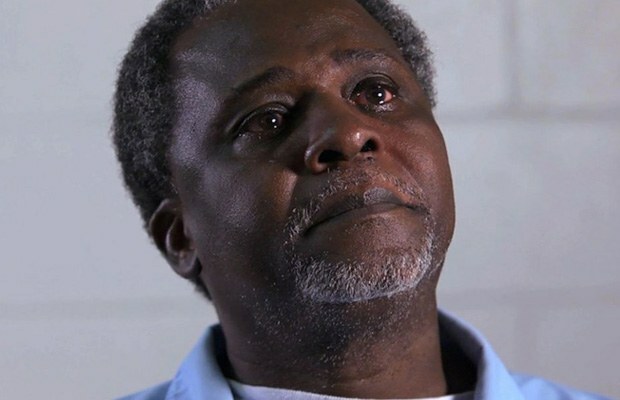 That story was the one that the Northwestern students were trying to tell when they dug into the case of Anthony Porter, who spent 16 years on death row before they helped not only to free him, but also supposedly found the real killer. Reich and Kimber’s film tells another story, in which the students were wrong, their professor brazenly manipulated the truth, and the wrong man was set free. In 1982, two teenagers were shot to death at Washington Park on Chicago’s South Side. Porter was identified by multiple witnesses (some of whom said they knew him "from the neighborhood") and convicted. Years later, Medill School of Journalism Professor David Protess and a batch of undergraduates started looking into the case. They told a neat, TV-ready story of recantations, a confession from Alstory Simon, and a supposedly critical flaw in the prosecution’s argument (claiming that their witness couldn’t have identified Porter from where he was). Porter was released from prison in 1999 and Simon convicted. 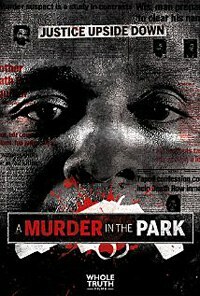 A Murder in the Park tears into the case for Porter’s exoneration. While directed with a minimum of artistry (the narration is particularly over-the-top), the new case is laid out plainly. Protess is presented as less a valiant fighter for justice than a mendacious and fame-hungry manipulator, keeping an ethically dubious private investigator on hand to coerce some witnesses into recanting and others into false confessions. The students come off as callow and untrained, kids who ignored any facts or witnesses that didn’t fit their Porter-is-innocent story. Possibly the most troubling aspect of the Protess team’s investigation is the matter of Simon being represented by a lawyer with ties to both Protess and his investigator, a clear conflict of interest that the film argues resulted in a second man being railroaded in order that Porter could go free. None of the students or the later disgraced Protess (who retired from Northwestern in 2011 after the school determined he “misrepresented” himself) made themselves available to the filmmakers. This leaves the film almost entirely reliant on the investigating police officers, Simon’s legal team, and a representative from the Whole Truth Project, an organization dedicated to defending police accused of misconduct. It’s hard to believe that Protess and his team would have been able to provide much of anything to refute the charges made here. Still, by not showing, up they leave the film without any countervailing point of view. It's still not known who was responsible for the shootings that night in 1982. Whatever the truth might be, the film serves as a necessary counterweight to those seductive narratives pushed by one side or the other in highly charged criminal cases. In fact, just weeks before the film’s New York premiere at DOC NYC, Simon walked free after Cook County determined that Protess’ tactics were troubling enough to cast the whole case in a new light. It appears that the innocent man story continues to seduce.